Nilo Peak Hill is known as a place of pilgrimage for Catholics. There is stood a statue of Mary "The Mother of All Nations" (Statue of "Maria Bunda Segala Bangsa")as high as 28 kilometers. 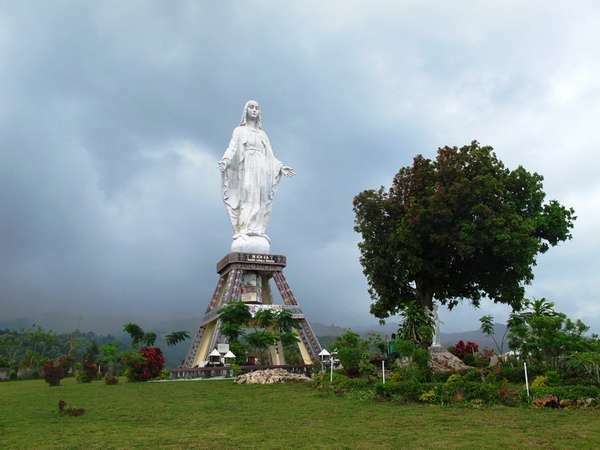 Sights spiritual object tourism of the Virgin Mary Statue that is located at Nilo Hill can be reached by traveling as far as 16 kilometers from the center of the town of Maumere. 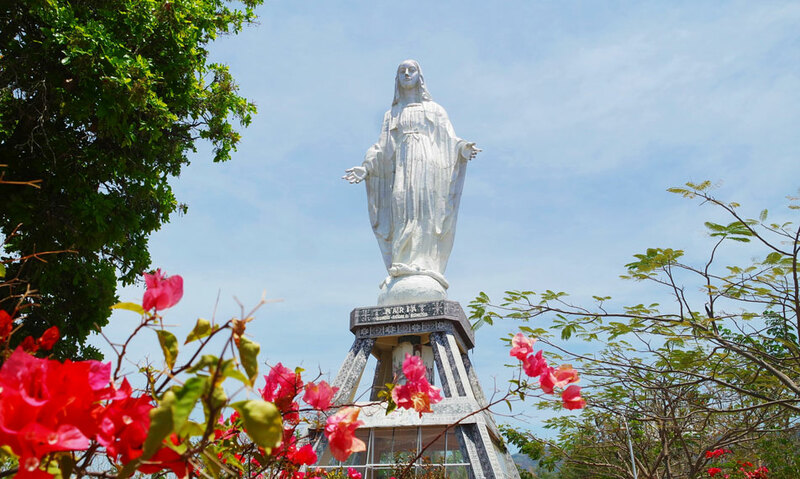 Statue of the Virgin Mary with high of 4 meters is located on a hilltop with expansive views stretching towards Maumere, the city with the nickname "The District of Nyiur Waving" and has a long history of Catholic development on the Flores Island. As a place of pilgrimage, this object offers a tranquil and serene location with breezy cool mountain air. Travelers non-Catholics can come to enjoy the view from a height of Maumere. Unfortunately, or it is deliberately made that way, the path of this tourist place is only the width of one car only. Sides of a paved road is overgrown with tall, but behind it, there is the abyss without a safety fence. This statue is recently overrun by people who want to do a pilgrimage at certain times, especially a peak in religious holidays, and the rest deserted. In addition to a statue of Mary "The Mother of All Nations", there is also include St. Peter's Seminary Ritapiret who has also been visited by Pope John Paul II on a visit in 1989. In average day, there are tour guides who can deliver travelers around the seminary, including a look at the rooms that is once housed by the Pope during an overnight stay in Maumere. All times are GMT +8. The time now is 00:36.